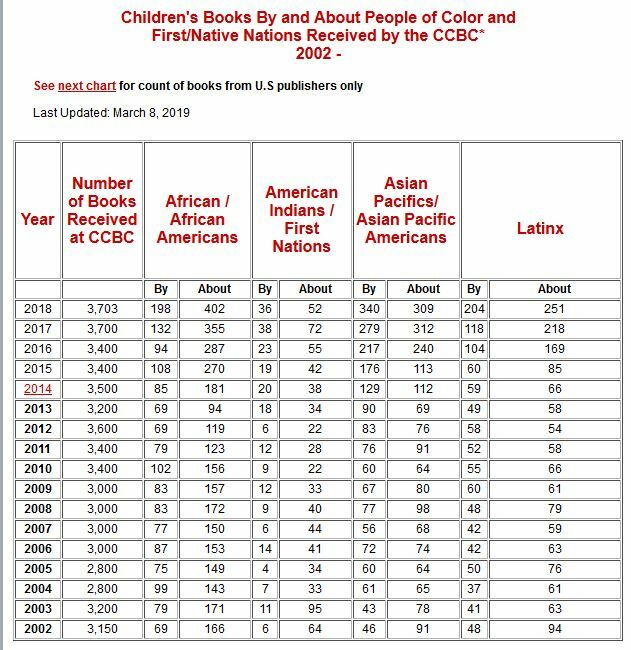 The Cooperative Children's Book Center has released its annual publishing statistics—and announced a new methodology—while offering observations about the status of children's publishing and diverse titles. The Cooperative Children's Book Center at the School of Education at the University of Wisconsin-Madison has released its annual publishing statistics on children's books about people of color and First/Native Nations, as well as titles written by people of color and First/Native Nations authors and illustrators. The organization also announced that starting with the current data on titles published in 2018, the group will record and report the statistics in a new way. 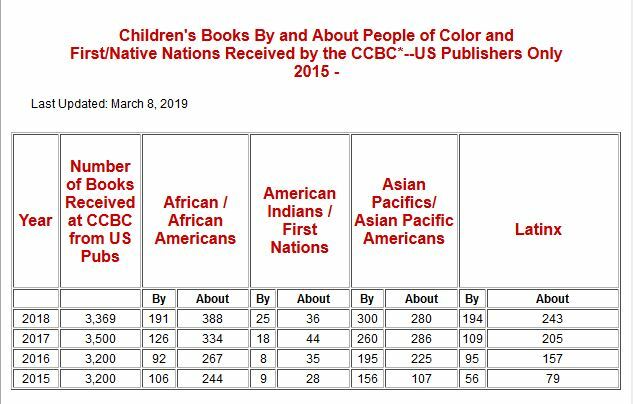 “For years, the CCBC has been known for documenting the number of multicultural books we receive each year,” said an essay accompanying the numbers, titled “A Few Observations: Literature in 2018” by Kathleen T. Horning, Merri V. Lindgren, Megan Schliesman, and Madeline Tyner. 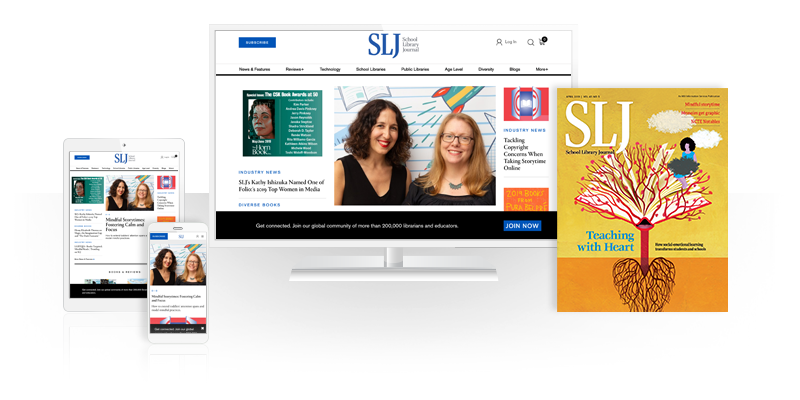 “We are continuing to gather those numbers, but the 2018 publishing year marked a change in how we are doing it. Rather than keeping track only of books we receive that are by and about people of color and from First/Native Nations, we are documenting the content of EVERY book we receive, making note not just of race and ethnicity, including whiteness, but of many other aspects of identity, from whether main characters are LGBTQ+ to their religion (when indicated), to whether the book is about a non-human character. “This shift marks a good time to also change where and how we document these numbers. For years, we have done so in this introduction to CCBC Choices, but the numbers we printed were often out-of-date by the time the booklet was published, as additional books trickled in after our copy deadline. “We have always maintained up-to-date numbers on our web site, and from this point forward we will make our web site the source for this information, which can be updated as needed. A number of “exciting” children’s and young adult literature debuts from authors and illustrators of color and First/Native Nation. Some authors specifically noted included noted Elizabeth Acevedo (The Poet X), Adib Khorram (Darius the Great Is Not Okay), Kheryn Callender (Hurricane Child), Henry Lien (Peasprout Chen:Future Legend of Skate and Sword), and Kelly Yang (Front Desk). Smaller publishing endeavors continue to make critical inroads in responding to the ongoing need for books that accurately and authentically reflect many aspects of diverse cultures and identities. Many picture books feature brown-skinned protagonists with no specific cultural or ethnic identifiers as part of the depiction. Do these books truly serve as what critic and scholar Rudine Sims Bishop calls “mirrors, windows, and sliding glass doors?” We’re skeptical, even as we appreciate many of them for their stories, and for the decision to not default to white protagonists. Groundbreaking books for young children that move away from binary gender norms and expand LGBTQ+ offerings for young readers. Books that reflect and respond to the current political and social climate in our country and around the world, in overt and more subtle ways. The CCBC received approximated 3,500 books, and the essay’s authors admit that the staff could not read them all as they sought to make the CCBC Choices 2019 list. In the end, 258 titles made the list.